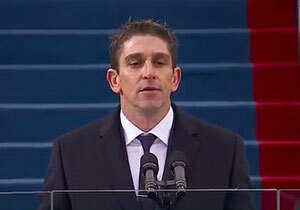 Poet Richard Blanco delivers his an inaugural poem “One Today” on Monday at President Barack Obama’s second term inauguration. In addition to being the youngest ever inaugural poet, Blanco, 44, is the first Hispanic and the first openly gay person to serve in the role. More on Richard Blanco is here.